Abul Hussain: Expelled from Respect for anti-Semitism…but now a serving magistrate. Explain. In September 2010, I highlighted the following comments on the Facebook page of Abul “Abz” Hussain, who was at that time a member of the National Council for George Galloway’s Respect party. Quite rightly, a day after my blog post, Respect expelled Abul from their party. Their statement was published here. Within a year, however, Abul was appointed as a Justice of the Peace, ie a magistrate. He still sits at Stratford magistrates’ court. He helps decide if people are guilty or innocent, and what sentences to pass. I’d noticed he was a magistrate earlier this year when he was becoming vocal in his support for Lutfur Rahman on Twitter. His Twitter account contained a link to his private internet marketing business, a site on which he helped to promote himself by stating he was a JP. The Judicial Office’s Code of Conduct for judges and magistrates is strict on avoiding conflicts of interests–commercial and political. It is also strict on the use of Twitter and social media. It advises judges and magistrates to be extremely careful. I questioned Abul about this in a Twitter exchange last month. He denied any wrongdoing but quickly removed from his business website any reference to his role as a JP. I’d completely forgotten he was the same Abul Hussain kicked out of Respect for anti-Semitic remarks in 2010. He ran this in yesterday’s Sunday Telegraph. I can only assume the Judicial Office was unaware of his past when they let him sit on judgement on others in 2011. It would be astonishing if we were not asked to explain himself now. A man expelled from George Galloway’s Respect party for racism and anti-Semitism is serving as a magistrate in London’s most multiracial borough. Abul “Abz” Hussain describes himself as a “follower of David Icke,” the conspiracy theorist who believes that the world is ruled by a race of giant lizards and that global leaders, including George W. Bush and the Queen, are the descendants of extraterrestrial reptiles. As a sitting Justice of the Peace (JP) at Stratford magistrates’ court in Newham, east London, Mr Hussain is called upon to enforce British law, a key tenet of the society he appears to question. Sitting with two other magistrates, he passes verdicts and sentences in most criminal cases, with the power to impose up to six months’ imprisonment. More serious cases are also first heard by magistrates, who can grant or deny bail. A resident of neighbouring Tower Hamlets, Mr Hussain is a strong supporter of Lutfur Rahman, the borough’s extremist-linked independent mayor, who was re-elected by a narrow margin in May. During the campaign, Mr Hussain stated on Twitter that Tower Hamlets had been treated by the Labour Party as the “last outpost of the British Raj” and added: “I’m definitely not a racist but I’ll admit to voting on racial lines… this is a show of BD [Bangladeshi] strength to Labour HQ! He claimed Bangladeshis were treated by Labour as “colonial subjects” and said the borough under the party was a “collection of bantustans”, artificial states created by the apartheid regime in South Africa to segregate black people. A recent entry on his Facebook page shows a man hitting a woman with a mallet. As a member of the national council of George Galloway’s Respect Party, a council candidate and joint general secretary of the local party, Mr Hussain took a major role in Mr Rahman’s previous election campaign in 2010, organising canvassers and meetings for Mr Rahman, who was removed from Labour after The Sunday Telegraph exposed his links to an extremist Islamist group, the Islamic Forum of Europe. Respect did not run a candidate of its own and supported Mr Rahman. Mr Hussain also appears to have been one of Mr Rahman’s nominators for the mayoralty. Despite Mr Hussain’s expulsion, he was appointed a magistrate in September 2011. A spokesman for the Judicial Office confirmed that Mr Hussain was a serving JP and said: “Any allegations about a magistrate’s conduct would, in the first instance, be investigated by their local advisory committee. If they felt there was evidence of misconduct it would be referred to the Judicial Investigations and Conduct Office (JCIO). Mr Hussain did not respond when contacted. This is the Written Ministerial Statement from Eric Pickles in the Commons today. It explains why the Commissioners have been sent in and gives his opinion on the representations made by Mayor Lutfur Rahman and Tower Hamlets council on the PwC report. Here’s the statement (I’ve underlined and put in bold font what are considered the key sections). I would like to update hon. Members on a series of steps we are taking to improve the quality of local government services and ensure value for taxpayers’ money. On 4 November, I informed the House that I was satisfied, having considered the report of the inspection by PricewaterhouseCoopers LLP (PwC) of Tower Hamlets Council, that that Council is failing to comply with its best value duty, and proposed to statutorily intervene to secure the Council’s compliance with that duty. I gave the Council until 18 November to make any representations it wished on the inspection report and my proposal for intervention, and I sought and received from the Council certain undertakings not to take further specified actions on grant making, appointment of statutory officers, and transfer of property to third parties, until I had reached decisions about the use of my intervention powers. I have now carefully considered all the representations that the Council has made. I have also considered afresh the PwC inspection report and the report the Election Commission published on 1 July 2014 into the elections in Tower Hamlets, and I have had appropriate regard to other representations that I have received about my proposed intervention. I remain satisfied that the Council is failing to comply with its best value duty. It is disappointing that there is a culture of denial in the mayoral administration about its systematic failures. As I said in my previous statement: “Localism requires local accountability and local democracy. Municipal corruption undermines the local checks and balances that are vital in a democracy and essential in mayoral systems with their concentration of power. We cannot risk such corruption”. But this is not just about the money. The abuse of taxpayers’ money and the culture of cronyism reflects a partisan community politics that seeks to trade favours and spread division on the rates. Such behaviour is to the detriment of integration and community cohesion in Tower Hamlets and in our capital city. This remains my view. I have concluded that it is both necessary and expedient for me to exercise my intervention powers in the Local Government Act 1999 as I have proposed, and accordingly, I have today given the Council the necessary directions under section 15(5) and 15(6) of the 1999 Act to implement the proposed interventions. These are centred on putting in place until 31 March 2017 a team of Commissioners to oversee or exercise certain of the Council’s functions. It is open to me to review this in the light of the progress made by the Council to secure compliance with its best value duty. I have nominated Sir Ken Knight to be the Lead Commissioner. Max Caller CBE has also been nominated as a Commissioner, and I will announce a further Commissioner in due course. In summary, the specific intervention measures are as follows. by 1 February 2015 to prepare and implement an action plan, in consultation with the Commissioners, to achieve improvements in the Council’s processes and practices for entering into contracts, and until 31 March 2017 to adopt all recommendations of the statutory officers in relation to the processes and practices to be followed in relation to entering into contracts, unless the Commissioners’ prior written agreement is obtained not to do so. (2) The Commissioners to exercise until 31 March 2017 all functions of the Council relating to the making of grants, including responding to Freedom of Information Act requests in respect of grant payments, with the Council providing at the request of the Commissioners its views on proposed grants. (3) The Commissioners to exercise until 31 March 2017 the Council’s functions of appointing persons to and removing them from the posts of Electoral Registration Officer and Returning Officer for Local Elections (this will also apply to their general election duties). The Council will be required to comply with any instructions of the Commissioners in relation to the exercise of those functions for which the Commissioners are responsible, and to provide the Commissioners at its expense with such services, amenities and administrative support as the Commissioners may reasonably require, and with access to the Council’s premises, documents, and to any employee or member as appears to the Commissioners to be necessary. The Council will also be required to pay the Commissioners’ reasonable expenses and such fees as I determine. Intervention was not a decision taken lightly, however I could not allow the overwhelming evidence of the serious failings within Tower Hamlets to continue unchecked. I do not accept the Mayor’s representations that the problems in the Council can easily be put right. Residents need to know that decisions are being taken properly in an open and accountable way. The Commissioners I am appointing are experienced and talented professionals who understand that transparency and accountability are vital to the functioning of local democracy. The Coalition Government has taken many steps during this Parliament to place more power into citizens’ hands to increase democratic accountability and make it easier for local people to contribute to the local decision making process and help shape public services. Transparency is the foundation of local accountability and the key that gives people the tools and information they need to play a bigger role in society. In October, we issued the Local Government Transparency Code 2014 and have made it a legal requirement for local authorities to publish much of the data specified in the Code. Today, we have taken another step forward in ensuring that local people have key information to hold public bodies to account by publishing a Transparency Code for smaller authorities. Under the new local government audit regime smaller authorities will be subject to the transparency requirements laid out in this Code in place of routine external audit. The Code will require the on-line publication of information that provides taxpayers with a clear picture of authorities’ activities, spending and governance, improving the ability of communities to hold local public bodies to account. The Transparency Code for Smaller Authorities applies to parish councils, internal drainage boards, charter trustees and port health authorities with an annual turnover not exceeding £25,000. Published initially as recommended practice, we intend, subject to Parliament, to make the Code mandatory by the start of the 2015-16 financial year and will offer support to this local government sector to help authorities comply with these requirements. There are many ways that local authorities can work together to save money and improve services, but there is equally no one-size-fits-all model either. The Dorset Fire Authority and the Wiltshire and Swindon Combined Fire Authority have formally made representations requesting a merger. We have today published a consultation paper on their proposals. Contrast to the last Administration, we do not believe in top-down restructuring. Nor do we agree with the current proposals of the HM Opposition to force more mergers. The botched FireControl programme is a prime example of how such restructuring is expensive and distracting. Rather, we will support locally-led partnerships, where there is genuine support from all members of the local community, and the consultation will test this local support. It is important to have in place the most effective arrangements to help councils across the country to continue to improve and reform – essential if they are to deliver sensible savings. Councils have a right to expect services designed to support them are the best they can be, provide the support they need and provide best value for money. In 2015-16, we intend to provide grant of £23.4 million to the Local Government Improvement and Development (formerly IDeA) to deliver effective support to councils. This will be accompanied by robust scrutiny to ensure that every pound spent by them is spent appropriately and on providing direct support to councils. We expect of them the same standards and value for money as we expect of councils delivering frontline services, and we expect them to be transparent with councils about how they have spent the grant and the services they deliver to support councils. The Coalition Government’s policy is to open up budgets to competition wherever possible. We intend to explore how the budget given for improvement services can be opened up to competition with contracts in place for 2016-17, allowing councils, council groupings, think thanks, mutuals and other interested parties to bid for such funding, and drive further best practice in local government. At last. Two of the three Commissioners to be appointed by Eric Pickles to run parts of Tower Hamlets council arrive for work this morning. They are Sir Ken Knight, who will be the lead Commissioner, and Max Caller. The third will be announced in due course. Both Sir Ken and Mr Caller are heavy-hitters. Sir Ken is the better known nationally, while Mr Caller has a huge reputation as a local government Mr Fixit man: he was in charge of Hackney council from 2000-04 when that authority was being transformed under special measures. 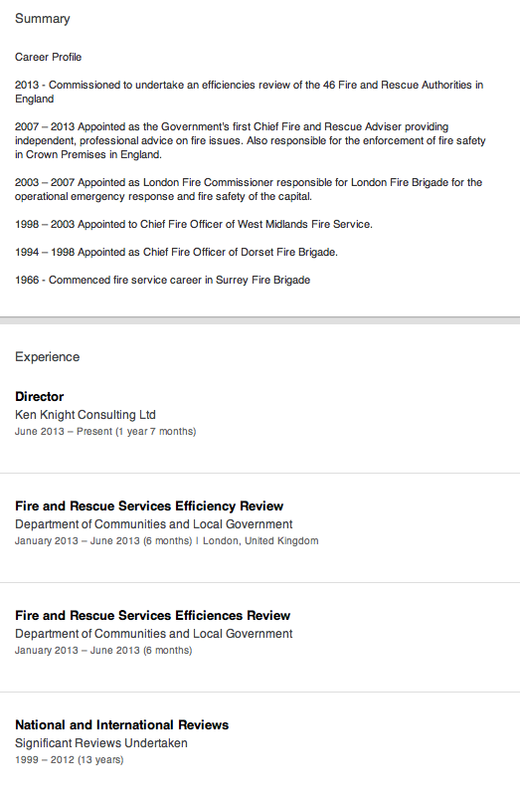 He’s currently a director of his own consultancy company, Ken Knight Consulting Ltd, having retired from the fire service. He has a distinguished career. 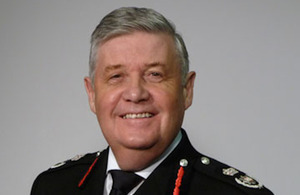 He oversaw the London Fire Brigade as London Fire Commissioner from 2003-07, including during the July 7 terror attacks. Since that stint ended in 2007, he has worked on a number of high profile projects for central governments, both in the UK and abroad. In Britain, he worked until last year as the Government’s first Chief Fire and Rescue Adviser. He wrote the Rising to the Challenge report on the 2007 floods and was in charge of the review into the Lakanal House fire disaster in Camberwell in 2009. And last year, he completed the cost-saving review of England’s 46 fire authorities, which found £200million could be saved. You can see why ministers like him. Unions have a different opinion. How Lutfur Rahman and he will get along is anyone’s guess. However, Lutfur’s mentor Ken Livingstone did once have a legal run-in with him in 2007. Here’s an extract from Sir Ken’s Linkedin profile. There is more on his own website, here, which states he is the independent chairman of the board of Exova, a large company specialising in providing fire safety materials. I can’t find his name on Exova’s website so that might be an old listing. He is also one of the Queen’s Deputy Lieutenants for London, so he will probably know Commander John Ludgate, the Deputy Lieutenant for Tower Hamlets who does a fabulous job of looking both bemused and amused during council meetings. And so to Max Caller. In this interview here, he talks about how his career started off as a sewer inspector in the underbelly of London. So fantastic training for the current situation in Tower Hamlets. 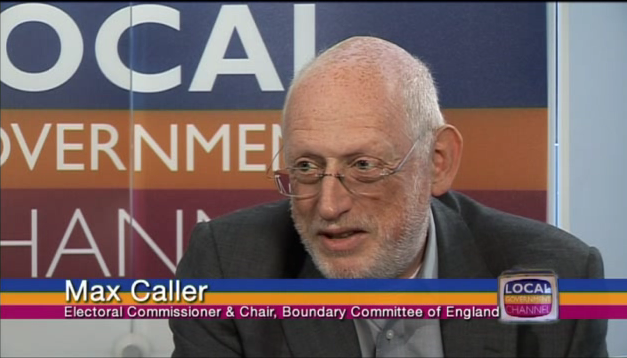 Max Caller CBE has amassed 33 years experience in London boroughs with the majority at Chief Officer level. As Chief Executive of Hackney, he managed the transition of the authority from the worst in the country to one of the fastest improving. As Chief Executive of Barnet he introduced a cabinet form of governance and an effective scrutiny system, which was one of the models for subsequent legislation. Max was appointed the first Regional Returning Officer for London for the 1999 European elections, was Deputy Chief Counting Officer for the UK wide Alternative Vote referendum and has been involved in electoral pilot arrangements on an all-postal/electronic counting system for borough and mayoral elections. He has also served as a short term observer for OSCE overseen elections in Albania and Montenegro and as a Commonwealth observer for elections in Kenya and Ghana. Since April 2010 he has been chairman of the Local Government Boundary Commission for England. He grew up in South Wales and is an engineer by background. He’s also on the advisory board of Norwood, a leading Jewish charity whose president (in the interests of transparency) is my employer (until Friday), Richard Desmond. The team will, with immediate effect, take control of grant making within the council, will approve any sale or disposal of property and will agree a plan for publicity after independent inspectors PriceWaterhouseCoopers (PwC) concluded the Borough was failing in its best value duty in these areas. The PwC report, published on November 4, severely criticised how grants were handed out to organisations which failed to meet basic criteria for public funding, property was sold without proper process and taxpayers’ money was spent on political advertising for the Mayor. The authority, under the direction of the Commissioners, will have three months to prepare a strategy and action plan setting out how it will comply with its duty to act openly and transparently, serving all of its communities fairly and securing value for money. The Commissioners, due to be in place until 31 March, 2017, will drive forward the action plan, updating the Secretary of State every six months on progress. Secretary of State Eric Pickles said: “Intervention was not a decision taken lightly however I could not ignore the overwhelming evidence of the council’s failure, and allow this to continue unchecked. I do not accept the Mayor’s representations that problems are easilhy put right. “Residents need to know that decisions are being taken properly in an open and accountable way. The Commissioners I have appointed are experienced and talented professionals who understand that transparency and accountability are vital to the functioning of local democracy. 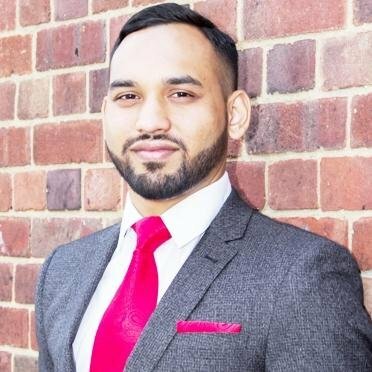 Cllr Shahed Ali, Tower Hamlets council’s cabinet member for the ‘clean and green’ (ie street cleaning and refuse etc), was yesterday arrested on suspicion of multiple voting in May’s elections. He was arrested early in the morning and asked to explain how two votes were cast in his name earlier this year. It’s understood he was registered to vote at two different addresses. A source close to Shahed said he voted just once in person and that was it. The source said the police investigation centres on the ballot cast from the second address. He is said to be helping police solve the riddle, and strenuously denies any wrongdoing. He is a member of Lutfur Rahman’s Tower Hamlets First party, having been expelled from Labour for having backed the Mayor in 2010. He has been ward member for Whitechapel since 2006 when he was first elected for Respect. A Scotland Yard spokesman said a 44 year old man had been arrested on suspicion of multiple voting yesterday. Let me stress that Shahed has not been charged. My source said he wouldn’t be making any comment on the issue for fear of jeopardising the police investigation. This is cross-post from Democratic Audit, a public policy group based at the London School of Economics. It was published two weeks ago and was written by Professor Michael Keith, the former Labour leader of Tower Hamlets council, who is now the Director of COMPAS at Oxford University. Competent bureaucrats commonly believe they protect the public interest by delivering transparent decision making in public institutions. This is commendable. Politicians normally believe that they are elected to carry out the wishes of their voters. This is forgivable. But these imperatives rub against each other when politicians try reshaping things in an image they prefer and the bureaucrat wants to preserve an order they recognize. This is difficult. This tension is not new. Recent events in the east end of London exemplify an old problem. Max Weber’s thoughtful and commonly misunderstood discussion identifies this tension as one of the diagnostic features of bureaucracy. The bureau is in and of itself without politics. In a vocabulary anachronistic in its use and counterintuitive in its usage it might even be argued that Weber suggested bureaucracy was fundamentally anti-political. The bureaucrat could serve the Chinese despot, the papal machine or the liberal democratic reforming state equally well. But at its best s/he personified a particular kind of stasis, a performative form of repetition without difference. The bureau reproduces a specific social, moral and political order; dispassionately and without fear or favour or individual exception. This predictable repetition is at the heart of the bureau’s strengths. At its best it makes visible transparent process. But our conception of the ‘political’ is at heart about change, the juxtaposition of one moral order against another. The politician – whether or not democratically elected – is for Weber a personification of the will to advance a preferred moral order and social settlement. A ‘conservative’ appeals to a particular set of pre-existing values threatened by social change, an alternative politics actively promotes a new moral order against an old one. In cities of flux, characterized by high levels of demographic ‘churn’, migrant urbanisms and processes of regeneration and gentrification the social order is constantly on the move, generating particular challenges for the bureau. Translated into local government, the most conscientious political actors become engaged in representative democracy for a reason. Councillors normally want to change things in the ward and the local authority they represent. They identify needs, community organisations they believe are doing good things unnoticed, campaigns they want to champion. Such interests sometimes can be advanced through the bureaucracy. But such interests at other times have to be championed against the bureaucracy. Domestic violence only becomes an ‘object’ of local governmental gaze when community organisations campaign for it to be recognized. The consequences of an ageing population with multiple challenges are only recognized by welfare departments after a lot of knocking on doors at city hall. And in multicultural settings both entrenched forms of systemic racial disadvantage and a politics of recognition of cultural difference depend on changing the local state to recognize properly the different needs of cultural groups and evolving and at times banal demographics. In my own experience the mums’ clubs based in certain locations and the provision for the elderly that once appealed effectively to a past East End tradition of gathering, music and alcohol based conviviality worked accidentally to exclude those who did not gather in pubs, did not socialize around a cup of tea and a cigarette after dropping the children at school. So the bureau only recognizes and changes with pressure. Multicultural realities challenge and change the bureau, belatedly some times, proactively when politcians advance in good faith an understanding of the complexities of new social formations through the architecture of city hall. But such change is never without friction. Such tensions can be constructive. But in British mayoral systems we are unsure what the proper checks and balances should be. In Tower Hamlets when the will of a people so diverse, so rich and poor, so much a mix of different cultures is personified by one man, the challenges are particularly acute. The report highlighted that in Tower Hamlets the three most senior bureaucrats are all on temporary contracts. The boss (head of paid service), principal lawyer (monitoring officer) and head of finance (section 151 officer) are insecure. They depend on political whim for their pay cheque. The checks and balances for a mayor in one of the most socially polarized parts of Britain are diminished. As PWC suggest and illustrate by one example after another the result in today’s east end is potentially catastrophic. This is why we need to think carefully how checks and balances for elected mayors should work, in the east end and elsewhere. On the BBC Radio 4 Today programme on 13th November (and in other media) reports on recent events in Tower Hamlets have focused on whether or not there has been criminal behavior reported by PWC. Former Mayor of London Ken Livingstone and former MP for Bethnal Green and Bow George Galloway, both supporting Mayor Lutfur Rahman, curiously mirrored the framing of BBC journalist Zoe Conway in focusing on the issue of criminality and fraud. But this is a chimera. If the report is judged by whether criminality or fraud is eventually proven, if the mayoralty is judged by convictions in court, misses the point. 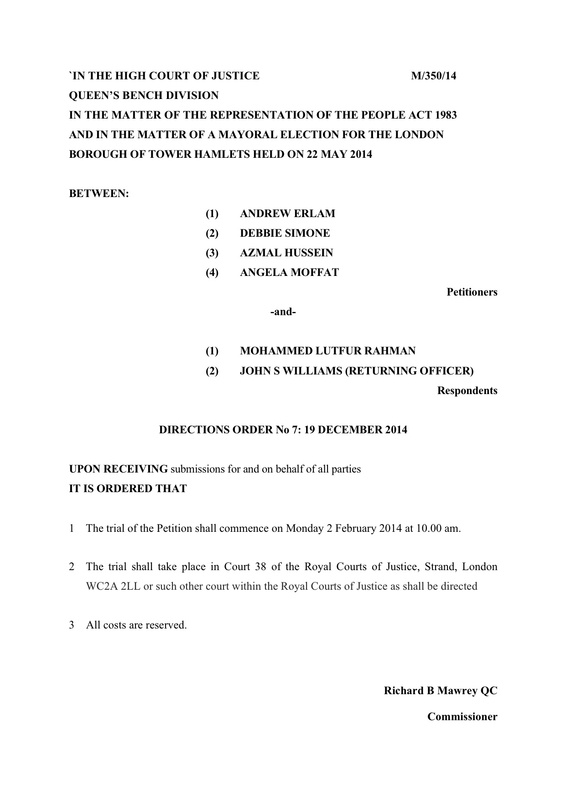 The true message of the PWC report and the lesson for putative mayoral innovations, in Tower Hamlets, in Manchester and elsewhere is that if the proper checks and balances on deliberative democracy are not in place then the result is dysfunctional, opaque and – most importantly – to the detriment of democracy and the disadvantage of local people. It is why most people will welcome the potential role of three commissioners in east London that might mitigate the questionable deployment of democratically elected but executively absolute power in today’s Tower Hamlets.